Each and every school has varieties when it comes to teaching and learning. It is essential to have participation in class because it is where you will be able to learn various things including the information on towing weight, road signs, road conditions, and many more. It is vital that the individual be physically prepared for the job demands because it is the key step in obtaining a license as a trucker. There are several reliable schools that you can find in Charlotte and it is important that you will check if the school has license or accreditation like the Charlotte Truck Driver Training School. It has been regarded as the first licensed private trade school in North Carolina for the tractor-trailer drivers’ training. Its philosophy is to provide the best training to each and everyone having no need to sacrifice of personal attention. This school divides the class into smaller groups for the highway as well as field instruction. In this way, there is a provision of personal attention to the needs of each individual in class all the way through the period of the training. 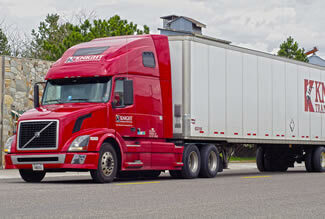 Its sole goal is to prepare the person to become the best tractor-trailer driver possible. Each person who has association with the school has the dedication in offering help in order to achieve the goal of the school. This as well will be achieved as the trainee will put forth the best effort. As always, both the visions and values of Charlotte Truck Driving Training School have given provisions of quality education in pursuing to acquire their credentials in the possession of a CDL. There has been a brand new facility which was built in the year 2005. 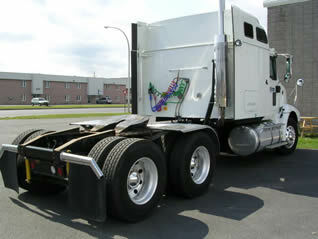 Its design is mainly for the truck drivers in training. Moreover, it also has the provision of future opportunities for jobs for the qualified individuals. Its training facility comprises about 6 acres of area. The classroom as well as the office space is able to cater up to forty students at each given time. A big field course with room is available for the angle backing and straight-line with up to six to eight trucks one at a time. The equipment used are the ones common to the industry of trucking and these include the vans, single or double tractors, and flatbed. In addition, the tractors have been equipped with different kinds of transmissions. Charlotte Truck Driver Training School makes certain that its instructors are highly qualified in each and every aspect of the trucking industry. The instructors need to have years of experience with regards to professional driving. The tractor-trailer training courses offered will indeed give you the preparation for a truck driving career in the industry of trucking. It is important that you get a North Carolina Commercial Driver’s License (CDL) if you wish to pursue a career as a truck driver in this state. There are several requirements that must be met before one can obtain a CDL. These requirements and regulations are there to ensure the safety of those on the road. First of all, one must have a valid driver’s license and be at least 18 years old to apply for a CDL. If you wish to drive interstate, then you must be 21 years or older. Working as a truck driver means being on the road for long hours; to ensure that applicants are visually and physically fit, they are required to obtain a DOT medical certificate. Applicants will also be required to provide supporting documents such as proof of citizenship or residence, Social Security number, etc. After you meet all the prerequisites, the next step is to schedule for the written knowledge test. Additional tests will be given for each endorsement for a specialized commercial vehicle you wish to drive. Reading the North Carolina CDL manual will help you better prepare for the written test(s). If you pass, you will receive a temporary permit, which will allow you to drive a truck while under the supervision of a licensed driver. Use this permit to get enough practical experience that will help you pass the next test. When you feel that you are ready, visit your local DMV office and schedule for a road test. You must schedule the test while your permit is still valid. The road test is divided into three parts: pre-trip inspection, basic driving skills, and actual road test. Applicants who pass all parts will receive their CDL. You can further increase your chances of getting a CDL by enrolling in a truck driving school. 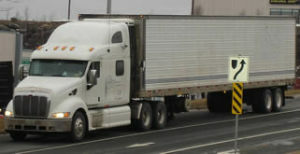 They offer quality truck driving instructions as well as help their students start off their careers in this industry. To submit a CDL school to be added to this page, use the contact form located here. All entries must have the full business name, address, and phone details to be considered for inclusion. It is necessary to get a North Carolina truck driving license if you would like to work as a truck driver in this state. Newer regulations had been issued in order to provide a much safer driving experience for anyone who will be hired as truck drivers in the United States. This includes newer restrictions as well as qualifications before one can be able to work regularly as a truck driver. Today, one is not allowed to possess more than one driver’s license and age restrictions also apply between those who will be driving only within the state and for those who will be driving interstate. To get this truck driving license, the first and perhaps the most important step would be to read the CDL manual (Link listed below). The manual contains almost all of the information that you would need in order to earn your license. From reading and interpreting road signs to understanding the particular areas where you will be tested on, the manual serves a huge part in the application process. It is recommended for anyone to read it thoroughly first before taking the written and road test for truck driving. The next step would be to undergo a DOT medical exam. You will be required to undergo this exam every two years after you acquire your CDL. Medical forms are available from medical professionals who have been accredited by the Department of Transportation. You have to show that you are physically fit and that there are now impediments to your driving effectively on the road especially since truck driving usually entail long-distance hauls. After this, you will need to undergo a visual exam where you will be tested for visual acuity. You would have to pass visual acuity of at least 20/40 and a visual field of 70 degrees for each eye. If you pass this eye test, you will then proceed to the written test. This test will provide you with a temporary permit to drive a truck so you can learn more how to drive it before taking the road test. You will have to submit some proof of identification such as your Social Security number, proof of residence, passport, proof of legal residence in the United States, and other similar documents in order to get the temporary permit. You will also need to surrender your current driver’s license to the OMV before you will be handed the permit. If you pass the written test, you will be provided with a temporary permit which also comes with its own fees aside from the testing fees. It is valid for several months and will provide you with ample time to learn all about truck driving. When you think that you are ready for the road test, then schedule for one before your permit expires. The test will involve pre-trip inspection, basic driving skills, and road test. You have to pass all of the areas of this test in order to get your North Carolina truck driving license. There are many truck driving schools in NC to help one gain the skills required to operate a tractor-trailer rig. Training is usually completed in a matter of weeks and many schools can help you with finding a job after you receive your license. To learn more about the state’s requirements you can visit the DMV listed below.